Super awesome news for Valley dwellers! The famous Melrose Trading Post—aka Fairfax Flea Market--has announced a second location opening at Taft Charter High. 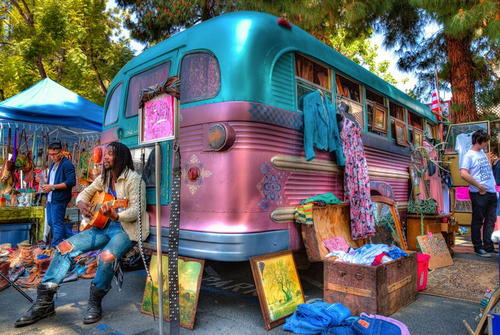 Beginning March 15th the Melrose Trading Post @ Taft will be held every Saturday from 9:00 a.m. to 5:00 p.m. in Woodland Hills. Specifcally on Ventura & Winnetka. Like the original location, Taft will boast up to 200 vendors each week and be a vintage shopping mecca for all. Now you can hit up the valley on Saturdays and the city on Sundays for handmade & one-of-a-kind finds. Interesting in selling? Go HERE.